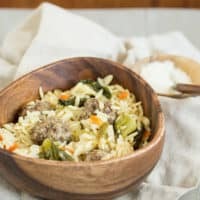 Italian Wedding Soup Pasta (One-Pot Meal) | Good. Food. Stories. If I had one comfort food to carry me through the winter, it would be Italian wedding soup. Nope, not grilled cheese or mashed potatoes or chili or even mac and cheese. Wedding soup is the direct olfactory nostalgia line to my heart during the season of one chill, grey day after another, like a savory chicken-scented blanket for my cold, grumpy, soul. 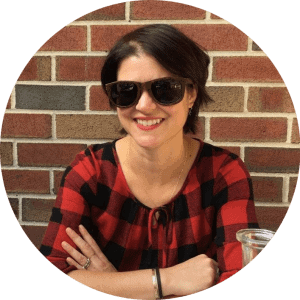 So what’s a cold-hearted girl to do when her only salvation is soup, and she married a warm-hearted guy who—as we’ve established—thinks that hot liquids are the devil’s temperature? The answer, in this instance, is an easy one: all I have to do to keep the love flowing in this house is to get really lazy about making Italian wedding soup. Lazy? Easy? Yes and yes. Because pasta loves to soak up all the liquid it comes in contact with, I’ve pretty much always overestimated the amount of acini di pepe or stars or alphabets or whatever tiny pasta I want to add to my soup. It never looks like enough, so I throw in a few more handfuls “just to be sure” and then end up with… well, basically Italian wedding soup pasta without even trying. So all I had to do to make Italian wedding soup pasta into an actual thing was to scale back the amount of broth in my recipe and to stick to my guns when it came to adding the pasta. 8 ounces is enough. Seriously. Don’t second-guess it. 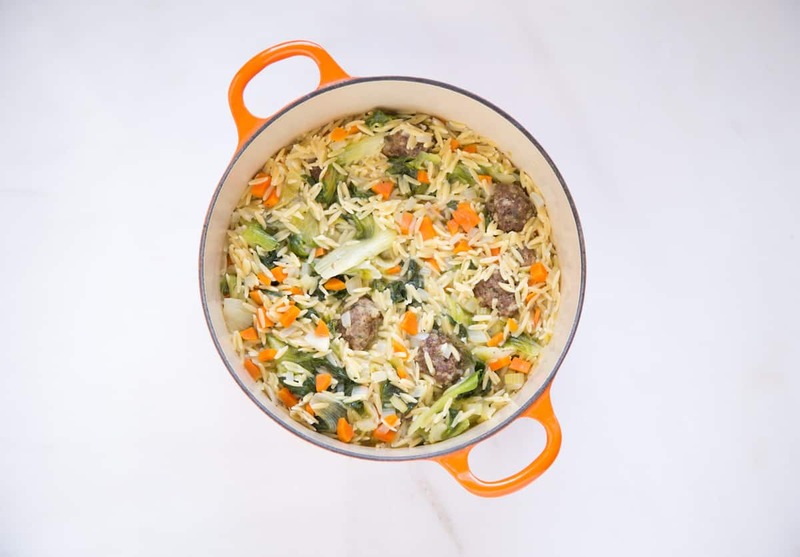 I do prefer using a slightly toothier small pasta here instead of the traditional teeny-tiny acini di pepe (AKA pastina), because I like having a bit more texture in every bite of Italian wedding soup pasta. Orzo seems to be the platonic ideal, but by all means feel free to experiment with other shapes like fregola, ditalini, or even pearl couscous if you’re into mixing it up. Note: If you already have cooked meatballs in the freezer, by all means use them here! But thaw them first to make sure they’ll warm all the way through in the broth—no one wants to bite into a meatballsicle in the middle of savoring their wedding soup pasta. 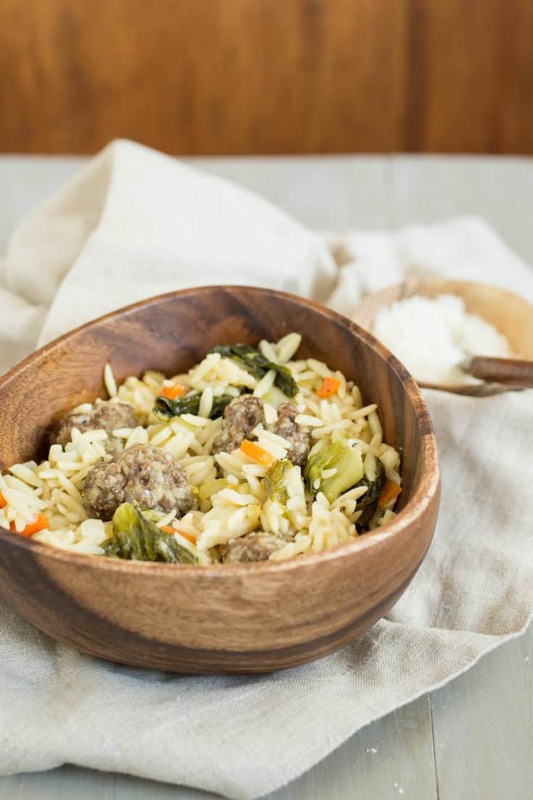 For a one-pot meal that always satisfies, make Italian wedding soup pasta, studded with tiny meatballs, tender greens, and tiny pasta shapes. Line a large rimmed baking sheet with parchment paper or waxed paper. Add the Parmesan, breadcrumbs, egg, garlic, salt, and pepper to a large bowl. Stir with a fork or spatula to loosely break up the egg. Add the beef and pork or turkey and use your hands to mix all the ingredients with your hands until well combined. Roll into meatballs approximately 1 1/2 inches in diameter and place on the prepared baking sheet. Heat the olive oil in a large Dutch oven or heavy-bottomed pot over medium heat. Add the meatballs—in batches if necessary to avoid crowding them—and cook until browned on all sides. Return the cooked meatballs to the baking sheet. Stir in the onion, garlic, carrot, celery, and a generous pinch each of kosher salt and black pepper. Cook, stirring occasionally, until the onion is very soft and translucent, about 8 minutes. Add the escarole, stirring frequently until the leaves are wilted. Return the meatballs to the pan. Pour in the chicken broth, cover, and bring to a simmer. Uncover and stir in the orzo. Cook, stirring frequently, until the orzo is tender and has absorbed most of the broth. Serve immediately with generous sprinklings of grated Parmesan cheese, if desired.